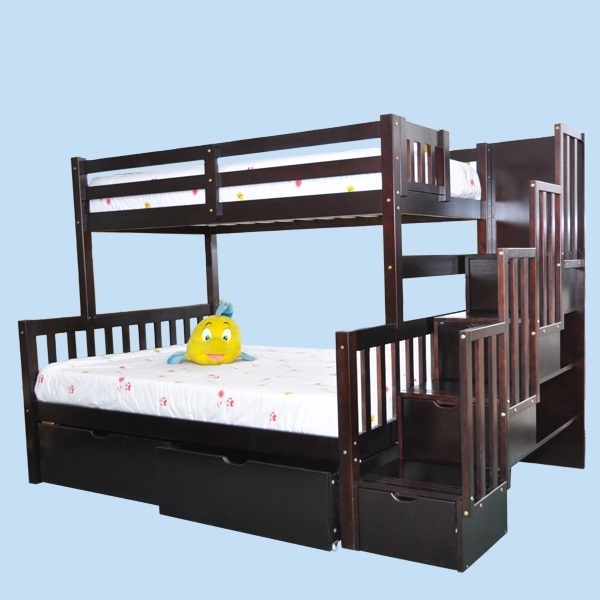 Bunk can be separated into one Twin (Single) and one Full (Double) size bed. 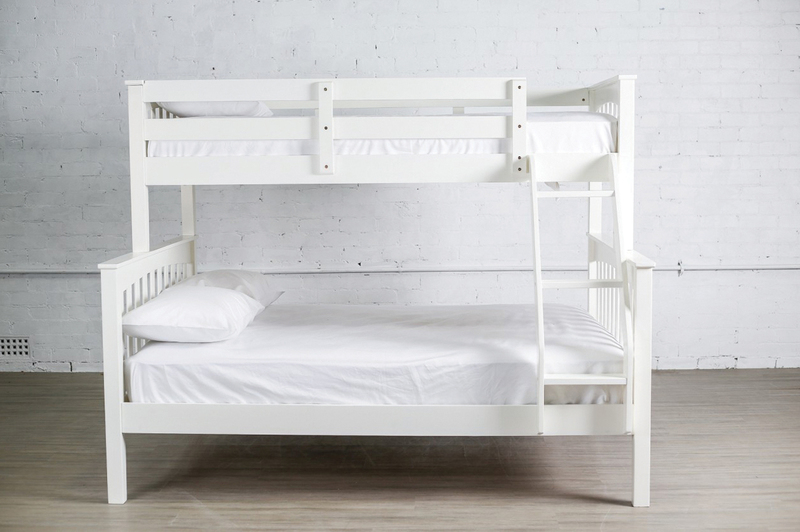 The ladder can be installed on either end of top bunk. 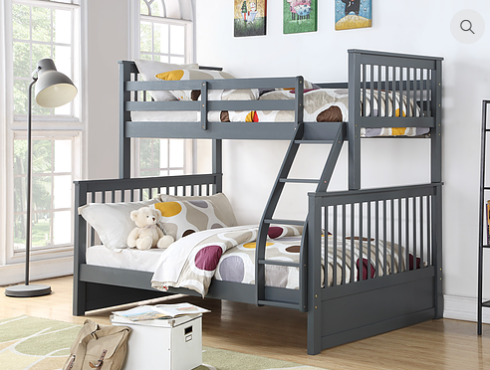 The weight capacity of the top bunk: up to 300lb. Trundle Bed / Set of Drawers available as accessories. Comes with mattress support (set of slats). 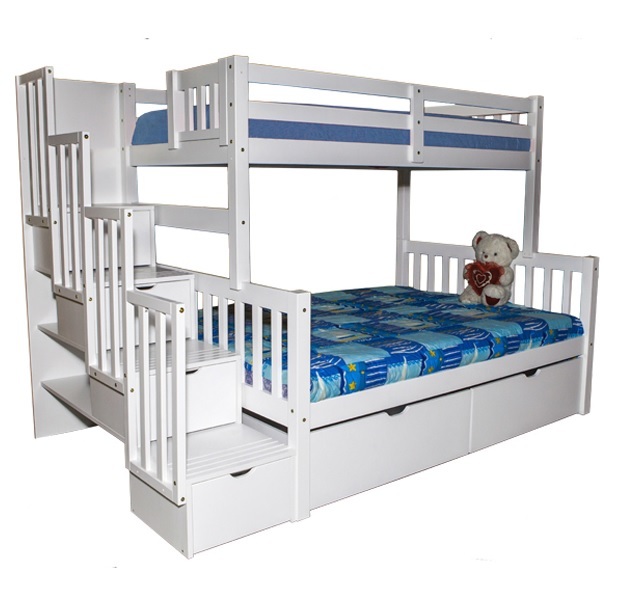 SCA-Verona Twin over Full Bunk Bed With Drawers White painted finish to suit all styles of children’s bedroom. 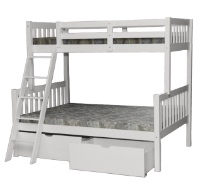 This Twin over Full Bunk Bed is constructed from Solid Wood and comes in a White finish. 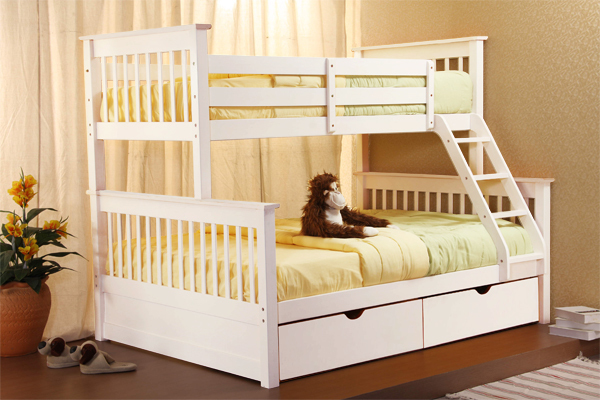 The Bed can be converted into two separate bed frames. Sturdy slanted ladder is safe and comfortable for kids to climb. 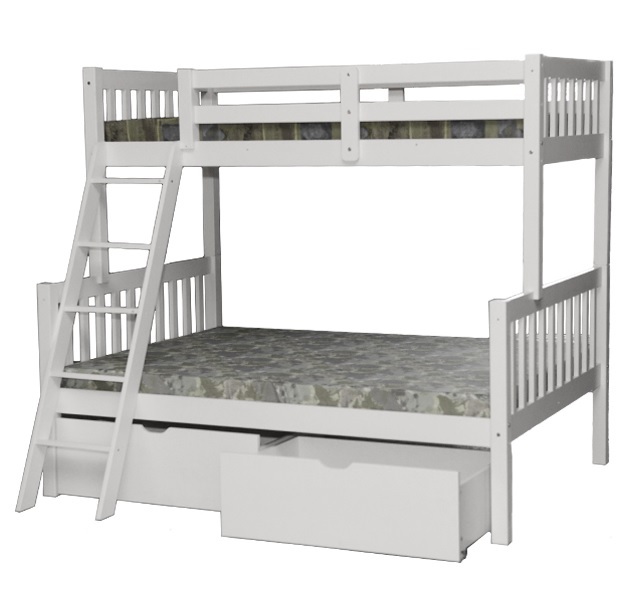 Matching under Bed Drawers or Trundle Bed sold separately.